Baseball is a sport in crisis. The drive for profit has swallowed, transformed, and expelled the drive for on-field victory like yesterday’s yogurt parfait. Attendance is down, a work stoppage after the 2021 season looks increasingly unavoidable, and after three more years of noncompetitive behavior from a majority of the 30 MLB teams, a work stoppage will probably feel like an act of mercy when it comes. 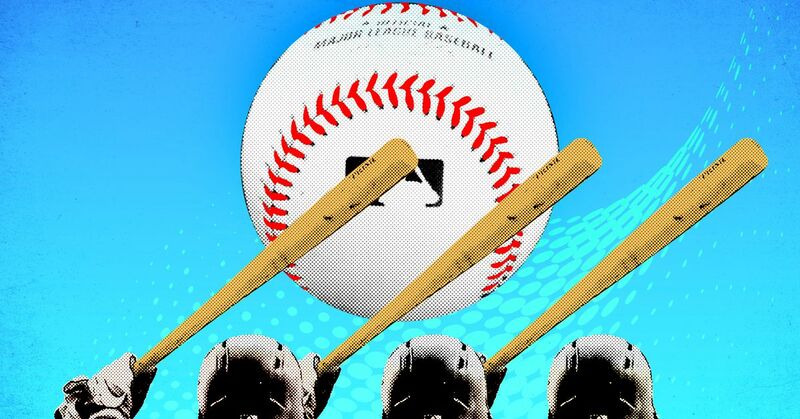 But fear not: The league and the MLBPA have ordered the band to strike up “Nearer, My God, to Thee,” and are considering rewriting some of the rules to liven up the in-game action a bit in the meantime. Over the past month, MLB and the MLBPA traded proposals for rule changes, reported by Jeff Passan of ESPN and Ken Rosenthal and Jayson Stark of The Athletic. Some minor rule tweaks could be implemented as soon as this season, while other more significant changes, like a universal DH, would probably have to wait until the next CBA in 2022. Regardless, the leaked rule proposals present a decent preview of where the sport will be heading in the next few years. Generally speaking, it’s good news that the people who run baseball are giving serious thought to tinkering with the rules. Almost every other popular North American sport, from football to hockey to auto racing, actively directs the evolution of the game. Baseball tends to take a more deist approach; it’s not that the rules never change, but baseball too frequently treats rule changes like amendments to the Constitution and not a subtle nudge to direct the style of play in one direction or another. If that attitude is changing, the sport will be better for it. But even if considering rule changes is a broadly positive development, each potential adjustment should be judged on its own merit. So let’s rank these rule proposals from best to worst, based on how much potential they have to improve the on-field product, weighed against the risk of implementing them. This feels like a win for everyone—it means 30 new full-time jobs for the players and added tactical flexibility for managers, particularly as expanding pitching staffs have shortened benches, in some cases, to a backup catcher and just two pinch hitters. The ability to carry another bench bat would allow position players to excel in more specialized roles—the Astros, Dodgers, Indians, and Cubs have done this to great effect even with 25-man rosters—and reduce the probability that a game could be decided because one side runs out of pinch hitters. Under the league’s proposal, a roster expansion would also come with a 12-pitcher limit for non-September games and the reduction of September rosters from 40 to 28. Both of those seem like obvious positives as well. Reducing the number of pitchers a team can dress would reduce the number of tedious mid-inning pitching changes, and capping September rosters at 28 would keep the game from changing too much under expanded rosters. Currently, teams with 40-man September rosters can take situational substitutions to an extreme—last year’s Brewers are just one example—where the demands on players change just as the regular season is at its most tense. Last year was the first year with a limit on mound visits—defined as any time a coach or player goes to the mound to talk to the pitcher—at six per game. It seems to have worked out pretty well; the average time per nine-inning game decreased by five minutes from 2017 to 2018. Limiting a coach’s on-field interactions with players forces them to succeed or fail on their own merits, and limiting the battery’s ability to stall encourages everyone to stop dithering around and play baseball, which is a good thing. MLB commissioner Rob Manfred can reduce the number of mound visits from six to five this year without the union’s approval. But the league sought MLBPA’s consent to go even further, asking for a reduction to four mound visits per team per game this year, then three in 2020. I say go for it—if there’s a real danger of running out of mound visits, it’ll force managers and pitching coaches to make tough choices when a pitcher is getting knocked around or signs are being stolen. Watching coaches sweat on the bench is fun. Sign-stealing kerfuffles are fun. Let’s have more of that and less of stopping the game for meetings. Currently, MLB draftees have to sign minor league contracts, which allow teams to pay players less and wait up to five years before putting them on the 40-man roster. The league was reportedly willing to bend this rule to keep Heisman Trophy winner and Oakland A’s outfield prospect Kyler Murray from entering the NFL draft. Murray didn’t find that to be enough of an incentive to give up football, but other two-sport athletes whose NFL futures are less certain than Murray’s might be more receptive. Baseball has been competing for athletes with other sports (usually but not always football), and in addition to being good for the athletes, this rule would give MLB another incentive to throw at players who can choose between the two sports. For every Andrew McCutchen or Joe Mauer who picks baseball, there’s a Murray or a Tom Brady who doesn’t. This is another reform Manfred can implement unilaterally this season, and Passan says that the commissioner will indeed impose a 20-second limit between pitches with the bases empty. The concept of timing anything in baseball feels a little wrong at first blush, but the pitch clock has been around for years in various college, minor league, and independent league settings, and seems to work just fine. I’ve been to numerous college games with a pitch clock over the years, and I promise you won’t even notice it; there will just be ever so slightly less dead time from one pitch to the next. The MLBPA’s list of proposed rule changes included a suggestion that the league alter the draft order to disincentivize tanking. Hardly any specifics about what shape this reform would take have emerged, but the broad strokes are that the union wants to reward teams that make the playoffs while receiving revenue sharing by increasing their draft position or giving them extra picks, while penalizing teams that surpass a certain number of losses over multiple seasons. Without more specific details than what’s been made public, it’s hard to project the consequences of these reforms, but the idea seems sound enough. One of the biggest threats to the sport in the short-to-medium term is the number of clubs that are happy to be mediocre or worse if that means not having to spend money on players. Maybe losing a few spots of draft position isn’t a big enough deterrent to change that, but it’s good that someone with the potential to push for change is starting the conversation. I hate pitching changes during an inning as much as anyone, but this isn’t the way I’d go about eliminating them. The inciting incident for this proposed rule change was evidently Game 5 of the NLCS, when Brewers starter Wade Miley faced one better, then was lifted for right-hander Brandon Woodruff. This bit of gamesmanship, pioneered by Washington Senators manager Bucky Harris in Game 7 of the 1924 World Series, might have been unorthodox, but is certainly fair game in an era in which the platoon advantage is so highly prized. But the Bucky Harris Maneuver is almost never used. In a typical MLB season, there are 4,860 starting pitchers (30 teams multiplied by 162 games). In 2018, five starting pitchers failed to face at least three batters, short of the all-time high of eight, which came in 1913. But while this rule change would eliminate the Bucky Harris Maneuver, that’s not its sole or even primary purpose. The real target of this rule would be one-out relievers. This rule allows exceptions for pitchers who finish an inning, so it wouldn’t eliminate the lefty one-out guy, or LOOGY, but it would reduce the number of opportunities for those specialists to pitch to only a left-handed power hitter, then leave the game without facing a righty. LOOGYs aren’t the biggest reason baseball feels slow sometimes, but multiple pitching changes within an inning do make the game drag, and last year 10 pitchers with at least 30 relief appearances averaged fewer than three batters faced per relief appearance. Currently, there is no trade deadline in MLB; what’s commonly known as the trade deadline, July 31, is in fact the last day teams can make trades without having players pass through waivers. The secondary trade deadline, August 31, is the last day a player can be added to an organization and appear for that club in the postseason. The MLBPA wants to impose a hard cutoff on all trades before the All-Star break, in an effort to force teams to improve their rosters in the offseason—i.e., during free agency. First of all, I’m skeptical that teams would respond to an earlier trade deadline by signing more free agents. Moreover, moving the deadline up would reduce the number of sellers at the new trade deadline. With two wild-card spots for each league, it’s not always clear who’s in or out of the pennant race on July 31, or even August 31, let alone before the All-Star break. That lack of selling clubs would make it more difficult for teams with holes in the roster to fill them—and those holes can develop at any time through injury. In a related point, August and September trades aren’t just the result of procrastination; the evolution of a roster over the season means needs or surpluses can arise even near the end of the season, and late-season trades can help players end up on a team with a shot at a title or a team with the ability to give them more playing time. I hate the DH, not because of some stuffy allegiance to tradition or feverish devotion to the double-switch, but because it’s so much fun to watch pitchers succeed at the plate. Sure, they fail an overwhelming majority of the time, but so do position players, and when pitchers succeed, the emotional payoff is huge. With that said, the DH is coming to the NL at some point—not in 2019, as was originally rumored—but eventually. And that’s … fine, I guess. It’ll create 15 more full-time position players’ worth of at-bats, and perhaps improve the National League’s ability to compete with the American League in interleague play. The AL, NCAA, and most of the minor leagues use the DH without causing widespread civil unrest, so if the NL eventually adopts it too, it won’t be the end of the world. I’ve been a proponent of moving the mound back for years; the dimensions of the field haven’t changed in more than 120 years, while ballplayers have only gotten bigger and stronger, and line drives and fastballs alike have gotten almost unmanageably fast. Most fans wouldn’t notice if the mound were moved back, but a longer distance between the mound and plate would give hitters a little more time to react and (hopefully) increase contact rates. Such a change would probably have to happen gradually—creeping the mound back a couple inches per year for several years would force pitchers to adjust, but it would be easier to work through that incrementally than to show up one spring and figure out how to throw from, say, 65 feet. So why is this change ranked so low? MLB has lowered the mound with the modern era, dropping the height of the mound from 15 inches to 10 in response to the Year of the Pitcher in 1968. In 1969, the first year of the 10-inch mound, offense went up by almost two-thirds of a run per team per game. But Major League Baseball has never moved the mound. The National League established the current distance between plate and rubber in 1893, before the American League and Major League Baseball were even founded. It’s impossible to predict what consequences moving the mound would bring. It’s possible that in order to make any meaningful change in contact rate, the league would need to move the mound so far back it would completely change the way pitchers develop their repertoires or mechanics. Currently, there’s no scientific consensus on what link, if any, exists between mound height and pitcher health, but at least that’s been researched. There’s some research into the biomechanical effects of youth baseball players moving from a 46-foot mound to a 60-foot, 6-inch mound, but nothing on adults changing distances in the volume necessary to draw meaningful conclusions. If lower levels don’t change the rules at the same time, it would also be incredibly difficult to scout amateur pitchers throwing from 60 feet, 6 inches, if the MLB mound is substantially farther back. The upside for this move is big, but unlike most of the other proposed rule changes, there’s potential to do real harm to the players and throw the game out of balance. But on the whole, these seem like reasonable responses to adapt the game to evolutions in its strategy and tactics, and it’s good that both the league and union are taking steps to shape the game purposefully.